This week, the Louisiana Legislature will hear legislation that is essential to family economic security and fair housing choice. Many Louisiana families work hard but earn low wages that limit housing opportunities. In a state where ¼ of renters pay more than half their income towards rent and utilities, we cannot build our way out of the current housing crisis. 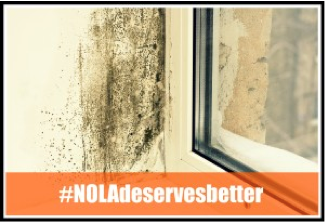 That’s why we’re asking you to support economic security and housing choice for Louisiana families. Currently, a parent working minimum wage at $7.25 per hour would have to work 69 hours per week in order to afford a modest one-bedroom apartment at fair market rent. No one who works full time should be facing homelessness. That’s why we’re asking you to urge Louisiana lawmakers to stand with Louisiana workers to pass legislation that helps lift families out of poverty. This week, President Obama released a budget that takes bold steps toward building fairness into our housing market and addressing the affordability crisis. If you believe a family’s zip code should not determine their life outcomes, then join us and sign your organization on to a letter asking Members of Congress to fund these vital programs.